Included is a copy of the poetry anthology “Read by, Written by” that accompanies the exhibition The Image of War, as well as refreshments throughout both days. What is the theoretical status and the actual function of images of violence? Departing from the exhibition The Image of War, amidst artist talks, representatives of organizations like Reporters without Boarders, The Institute for International Affairs, the daily paper Dagens Nyheter and Amnesty International will offer points of view to make up a larger conversation around subjects like witnessing, monuments and the use of images as evidence, but also of new technologies of image-making, newsworthiness, propaganda and questions of the true and false narratives that can be woven around images. The ambition is to deepen our understanding of the agency, production and distribution of such imagery and its part in shaping political, ethical and moral positions. The conference takes place in the exhibition and includes the artists Natascha Sadr Haghighian, Susan Schuppli and Gilles Saussier alongside director of Reporters without Borders Jonathan Lundqvist, theatre director Ellen Nyman, head of Amnesty’s crisis response team Tirana Hassan, media professor Kari Andén-Papadopoulos, peace and conflict researcher Johanna Mannergren Selimovic, photojournalist Paul Hansen, poet Azita Ghahreman and curator Theodor Ringborg. In conjunction with the conference: Friday Nov 24, 5.30 pm, looking awry – geometry of a cross-eyed subject, a demonstration by Natascha Sadr Haghighian. This event is free of charge and open to all. 12.45 Welcome speech by Magnus af Peteresens, Director of Bonniers Konsthall. 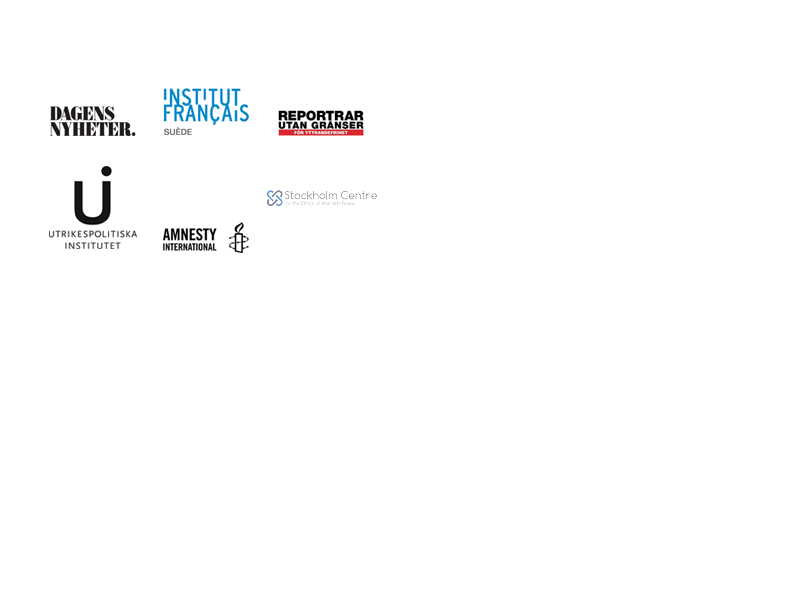 1.45 pm Jonathan Lundqvist from Reporters Without Borders speaks about images newsworthiness and impact. 3.15 pm Ellen Nyman talks about her experience as Director and her theatre play “En föreställning om svensk vapenexport” that treats the subject of Swedish arms export. 4.00 pm Tirana Hassan, Head of Amnesty International Crisis Response Team speaks about the organisations work in relation to images. 5 -7 pm Open discussion in Bistro BKH. Parts of the exhibition “The Image of War” is on view. 5.30 pm In conjunction with the conference: “looking awry – geometry of a cross-eyed subject” – a demonstration by Natascha Sadr Haghighian, artist. 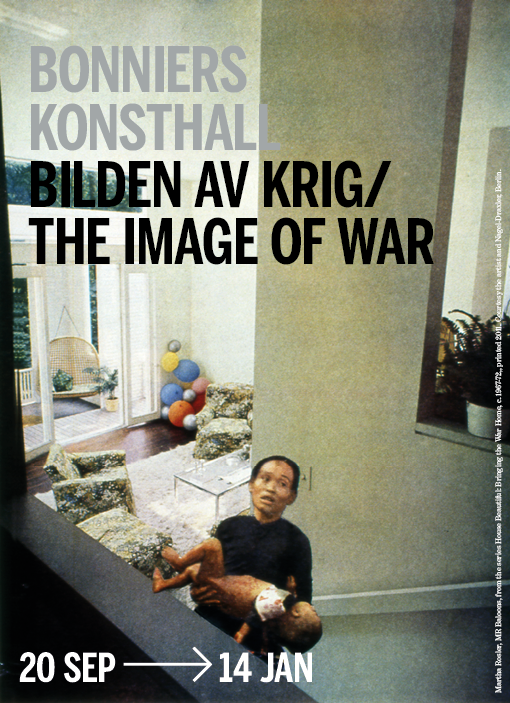 This event is part of the exhibition “The Image of War and is free of charge and open to all! 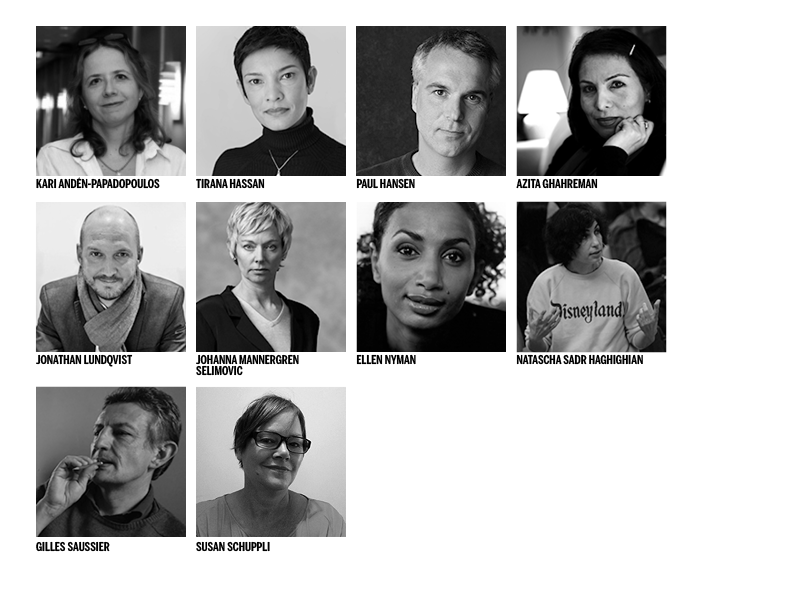 Limited number of seats, make your advance reservation to program@bonnierskonsthall.se. Noon Registration – Parts of the exhibition “The Image of War” is on view. 1.15 pm Kari Andén-Papadopoulos, Professor in Media and Communication at JMK, Stockholms universitet. On enacting conflict with camera: Image activism and political imagination in the Syrian uprising. 1.40 pm Johanna Mannergren, Selimovic Senior Research Fellow at the The Swedish Institute Of International Affairs, on Building peace and remembering war. Images, power and politics of memory. 2.30 pm Coffe break in Bistro BKH. Parts of the exhibition “The Image of War” is on view. 3.15 pm Susan Schuppli holds the lecture “Signal Relays from Saigon”. Schuppli is one of the artists in the exhibition The image of War, she is also Reader & Director at Centre for Research Architecture, Goldsmiths, University of London. 4.00 pm Paul Hansen, Photo Journalist at Dagens Nyheter, discusses visual narrations in war zones. 4.45 pm Gilles Saussier, artist, holds a lecture based on his work Le Tableau de Chasse that is a part of the exhibition The Image of War. 5.30-7 pm Open discussion in Bistro BKH. We offer a glass of wine! Parts of the exhibition “The Image of War” is on view. 6 pm Azita Ghahreman, poet, makes a reading, including her contribution to the poetry anthology “Read by Written by”. Throughout the conference, visitors will also be able to take part in the Swedish daily paper Dagens Nyheter’s new image-based journalism, which makes use of virtual reality technology. Where: Bonniers Konsthall, Torsgatan 19, Stockholm.